Featuring innovative Variax HD technology, James Tyler Variax gives you powerful versatility to create the instrument you've always wanted, and energise your playing in exciting new ways. Choose from 25 guitar models and, with the turn of a knob, instantly access 11 programmable alternate tunings - including Open G, DADGAD, Drop D, or any other custom tuning. Includes Variax Workbench HD software. Double-cutaway Mahogany body, 3-piece Maple neck, 24-fret Rosewood fingerboard, 2 high-output Alnico humbuckers, Floyd Rose double-locking tremolo system by Graph Tech. Black finish. 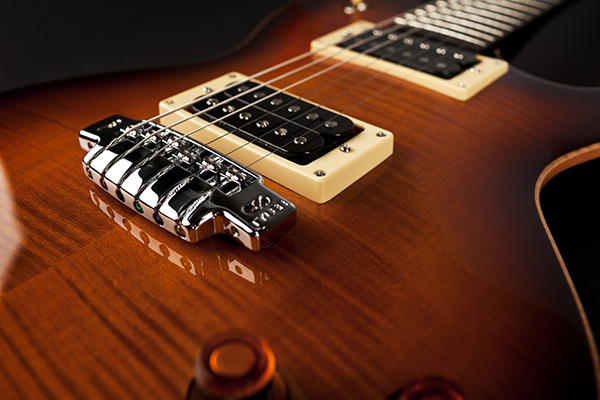 World-class guitar tone, impeccable design. Incredible guitar tone. Pure innovation. What makes James Tyler Variax guitars so addictively playable? James Tyler has made a career of understanding what makes vintage instruments so phenomenal, and applied this expertise to the James Tyler Variax guitar series. Knowing that the components of a guitar have an impact on feel and durability as well as tone, Tyler chose only the best neck, pickups, bridge, nut and tuners. Thanks to these premium components, James Tyler Variax guitars sound and play as good as they look. From smooth single coils to humbuckers hot enough to set off the smoke alarm, James Tyler Variax guitars are equipped with the highest-quality pickups—custom wound to James Tyler’s specs. Each model in the James Tyler Variax family comes with uniquely voiced pickup configurations dialed in by Tyler himself to offer a contemporary take on classic tone, so you can pick the style perfectly suited to your playing. Learn more about James Tyler. 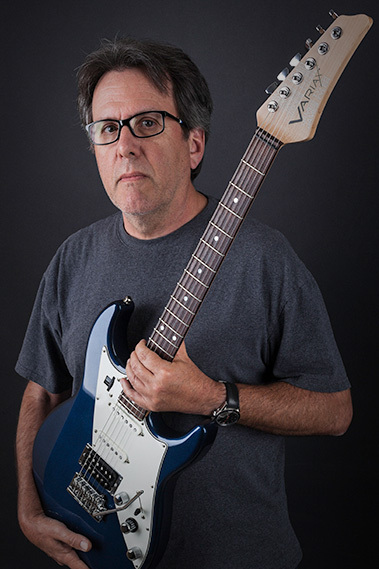 As the founder of James Tyler Guitars, master luthier James Tyler has helped put an unprecedented array of tones in the hands of professional and enthusiast guitarists alike. Captivated by guitars at an early age, James Tyler opened his first repair shop in Reseda, California in 1980, and quickly gained high-profile fans including Michael Landau, Neil Stubenhaus, Buzz Feiten and many more. The following decades brought a collection of stunningly creative guitars and basses, outrageous finishes, lauded pickups and a growing roster of loyal artists. Every project reflected his lifelong quest to create the perfect guitar and electronics package to deliver amazing tone—which made him the ideal partner for James Tyler Variax guitars.